Milwaukee Regional Medical Center | Vandewalle & Associates, Inc. The Milwaukee Regional Medical Center is working with V&A to position itself nationally as a Level I Trauma Center and the region’s leading Life Sciences Center. This is the culmination of 5 years of partnership working with V&A on campus planning and vision development. 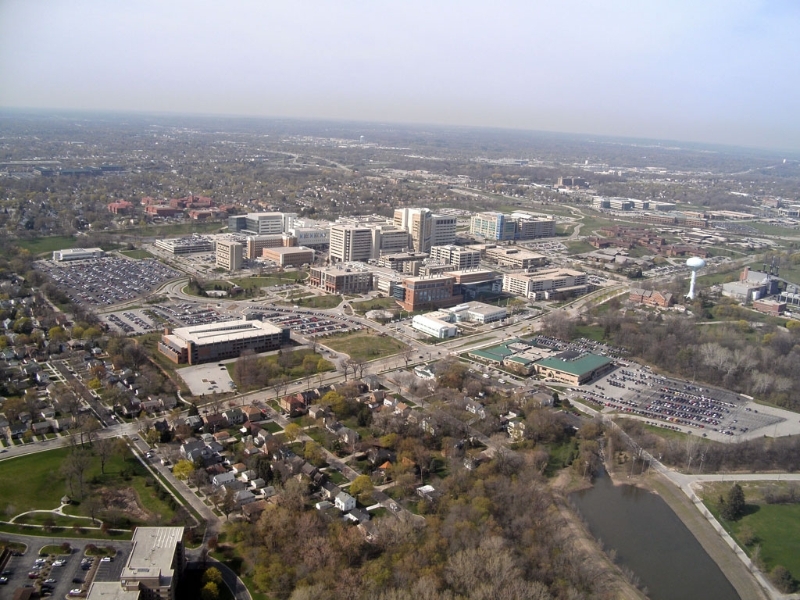 Currently six major life science entities occupy the 300-acre campus, including Froedtert Hospital, Children’s Hospital of Wisconsin, The Medical College of Wisconsin, the Blood Center of Wisconsin, Curative Care Network, and Milwaukee County Behavioral Health. 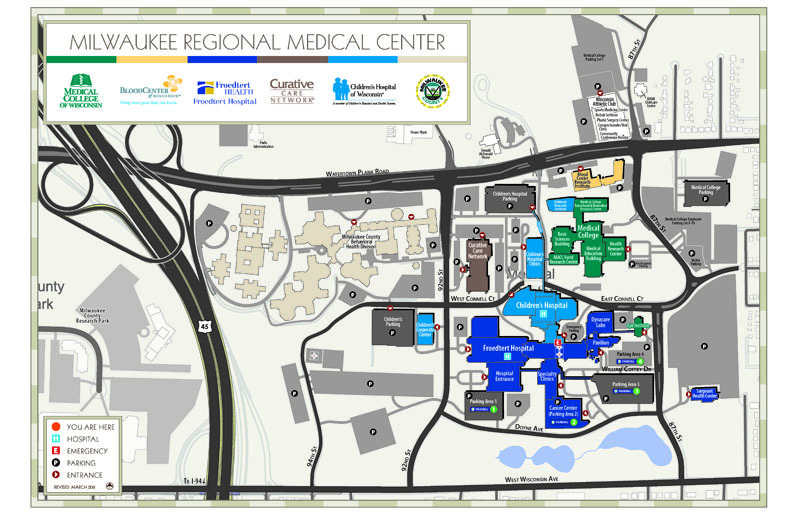 The Milwaukee County Research Park is also adjacent to the MRMC campus. 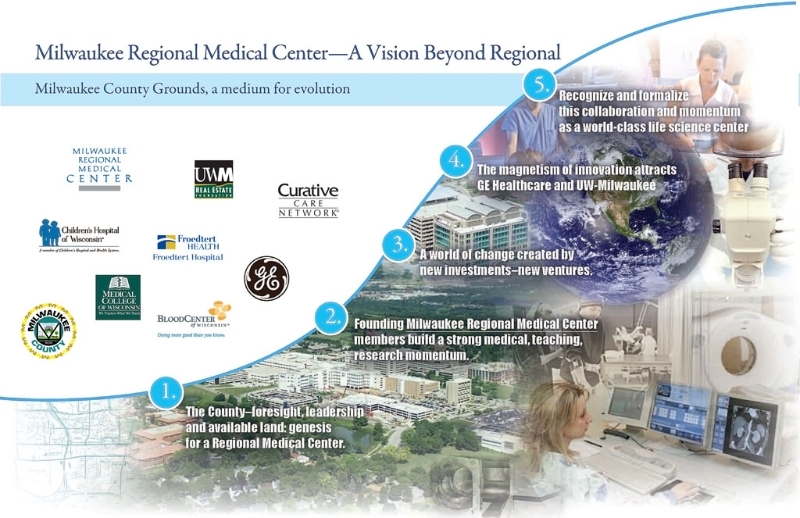 Together these entities form the largest academic health care cluster in Southeast Wisconsin, employing more than 15,000 people and having an annual economic impact of over $2.5 billion. In 2008 V&A worked with MRMC to prepare a 20-year vision for physical improvements, opportunities, and operation, which was an update of the original 1989 County Grounds Master Plan. 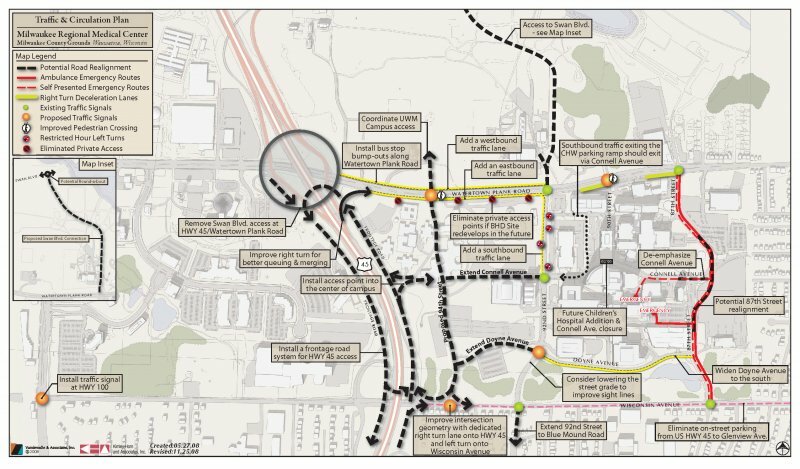 It also presents further opportunities such as becoming a “green” campus, implementing long-term, sustainable solutions for integrating renewable energy and electric vehicles, improving campus transit, and interfacing with WisDOT’s Zoo Interchange Project. 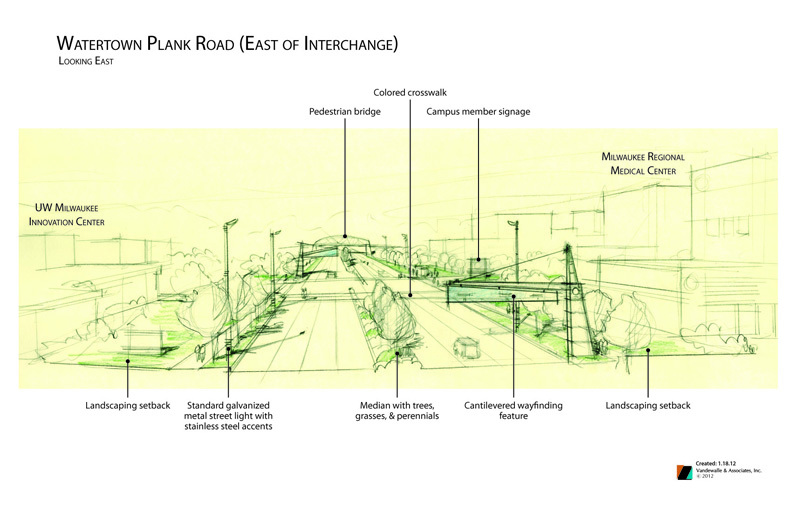 It also sets out protocols for emergency preparedness, and formalizes the co-location of uses as a Life Science Center. 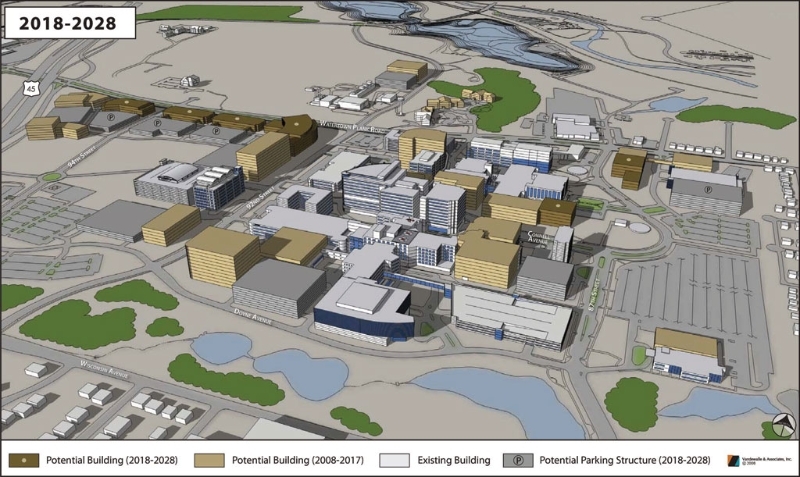 With this new position as the region’s leading Life Sciences Center, it’s a magnet for other entities like UW-Milwaukee’s new Innovation Campus. Scheduled for construction on the grounds adjacent to the Milwaukee Regional Medical Center in 2012, the UW Innovation Campus becomes the seventh member of MRMC—a collaborative addition that will help further accelerate research, new product development, spinoff companies, and job growth within the state and region.